I was so excited to receive my Lots O' Dots Daily Doodle! It arrived just in time for spring. Then, when I saw the beautiful Simply Spring Collection, I knew they were a match made in heaven. I couldn't wait to set it up and have it ready for the beautiful warm days of April. At least, I hope it's warm here in the Mid-Atlantic. You just never know these days. I started off by decorating the front of my planner. This is definitely one of my favorite things to do. I love coordinating the front pockets and inserts. The colors and motifs in this collection made this an especially fun job. 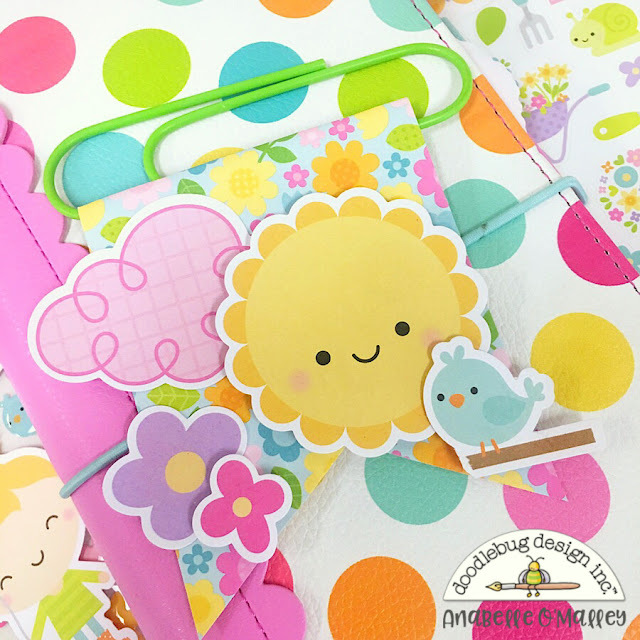 I adore all of the florals and the little creatures. To decorate the insert. I adhered the Chit Chats directly onto the insert. I love using foam adhesive on part of the design. It really makes the whole thing pop. I decided to create a little banner on a large paper clip so that I could slide it off and onto the booklet. It is a perfect decoration, but can also be used on my weekly calendar pages as a book mark. Here is a close up of the clip. I just folded the paper over and adhered it on the back. Then I added the die cuts from the Odds and Ends pack. Again, I used some foam adhesive for texture and visual interest. Here is another view of it on the insert. I really love the adorable, smiling sun. It's such a sweet reminder of the warm days to come. The little Sprinkles always add another nice touch. I love the colors that match the collection so perfectly. Finally, I set up my April calendar. I love the blank calendar inserts and how they have large enough boxes to decorate and write in. 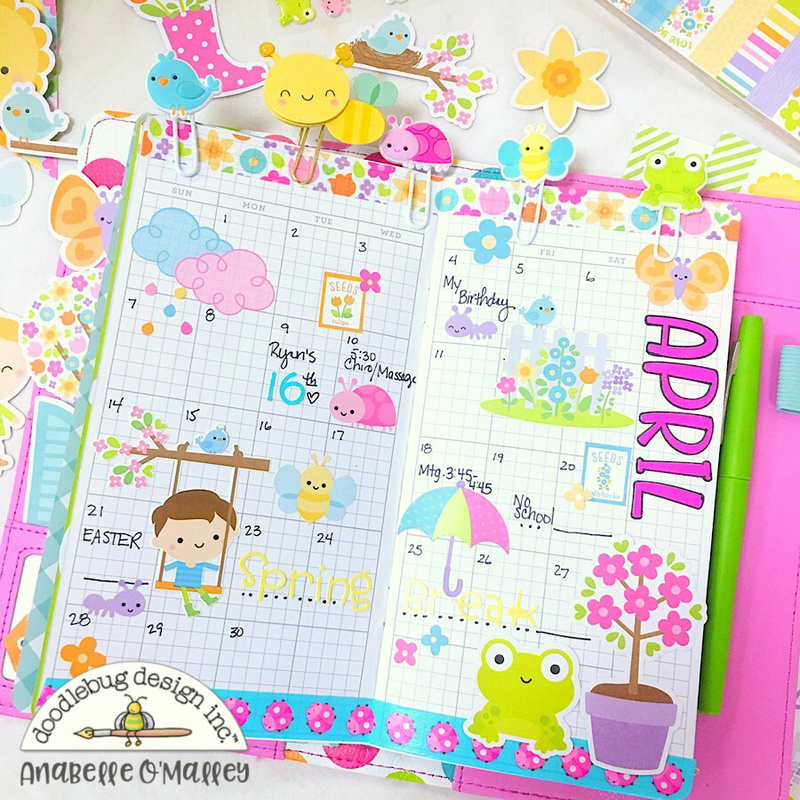 On this spread, I used the Abigail font stickers down the side of the calendar. Tracing them with a black marker really made them pop. I LOVE the Icon stickers and used a lot of them on here. They are so cute and whimsical. Having a calendar decorated with this adorable collection makes me want to open my planner and add plan! Now, my Lots O' Dots planner is set up and ready to go. I'll be adding more fun pages onto my weekly spreads. 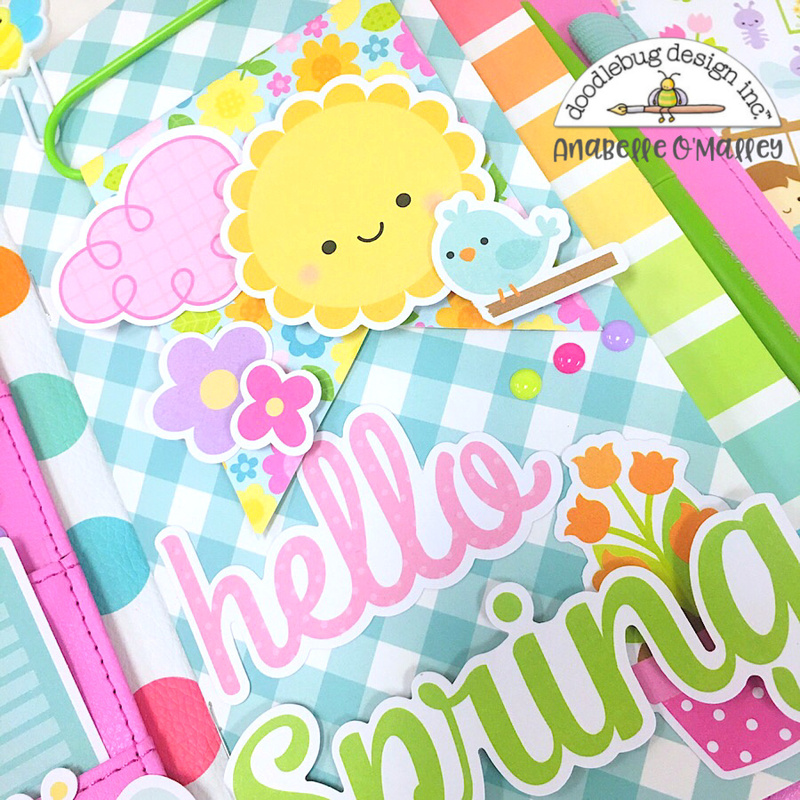 Using the Simply Spring collection will give this planner such a happy and fun feeling! This makes me so happy! 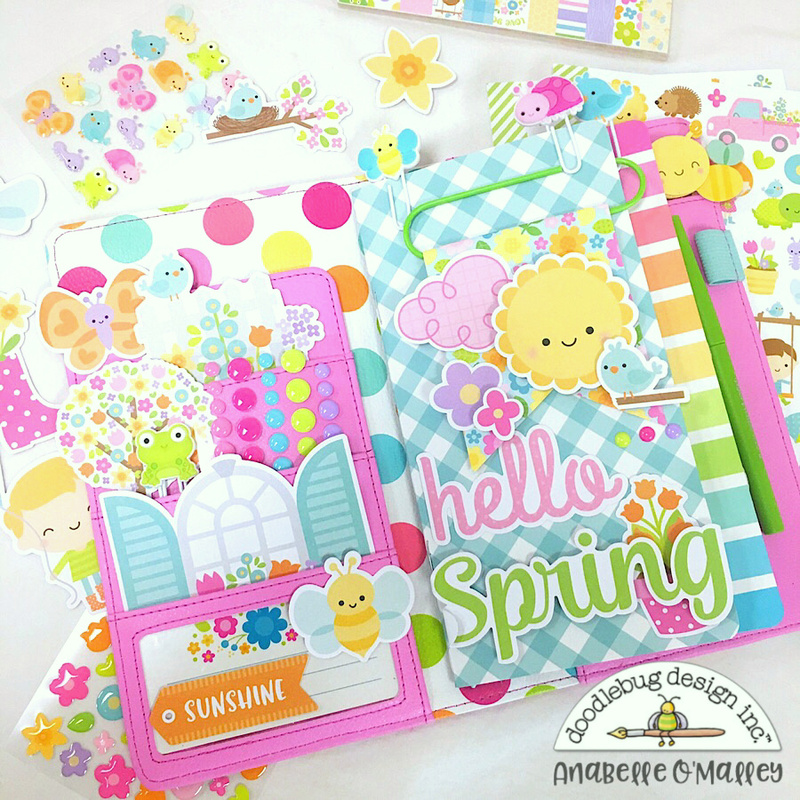 I have total planner envy!